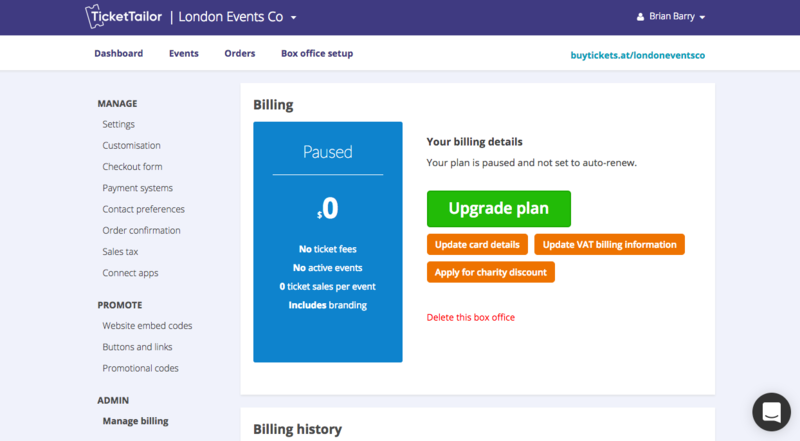 If you don’t have any events on sale right now, you can pause your plan at any time, and start using it again when you need to. This tutorial will show you how to pause your plan and move to a free plan. 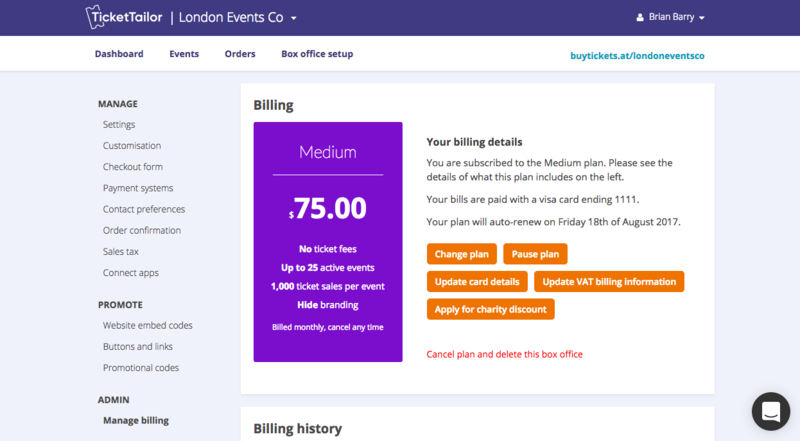 From the Box office setup section of your dashboard, choose Manage billing from the side menu. Under the Billing heading, hit the orange button marked “Pause plan”. In the pop-up window, you’ll get an opportunity to let us know why you’re pausing. When you’re done, click the orange button marked “Pause plan”. Any unused days in your current billing month will be added to your account as store credit, ready to use when you restart your paid plan.